The text shown on a white background below is representative of what appeared on several Ebay auctions. After a few weeks Mr. Jon Alan Muha's service offers on bay dropped all mention of ISC. 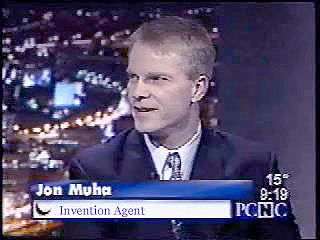 InventorEd does not know if Mr. Jon Alan Muha figured out that associating his name with Invention Submission Corporation (ISC) is not a good way to elicit confidence in inventors or if he became the subject of threats or litigation or actual litigation by ISC. Eventually we hope to learn the whole story and publish it here for all to see. InventorEd loves to hear from anyone who has information which we or the various state and Federal agencies we work with can use to help Invention Submission Corporation (ISC) get public recognition which they have so justly earned for taking so much money while delivering so little to aspiring inventors. Note: This is a representative facsimile of the original ads posted to Ebay. It has been reformatted slightly narrower to allow the addition of the sidebar and some text size has been increased and italicized to help identify what the sidebar comments refer to. Why are their success rates 1%? Who do they really submit to? Do I need research & brochures? As the top Licensing Agent for Invention Submission Corporation, I know their operation well. In fact, I pioneered several of the licensing techniques that their marketing & licensing arm 'Intromark, Inc.' still employs. The individuals at Intromark are great people. The problem with ISC, however, is that they bring in over a hundred new inventions each month and only have a handful of licensing personnel to strike deals for the inventors. The company's focus is on selling the inventors their services through national television advertising. The inquiries come into their sales offices around the country, where the ISC sales reps try to sign them up, at least with their 'B.I.P.' (Basic Information Packet) at first. The salesmen are paid around 40% of what is paid down! They hardly make anything if they use their in-house finance company 'Universal Finance Corporation', which is pretty much set up for inventors who can't get financed anywhere else - but will pay what they can into the service until they figure out nothing is going on and stop. The sales reps don't know anything about licensing or how to get a deal, they just know how to sell the service. We always joked about how clueless they were. 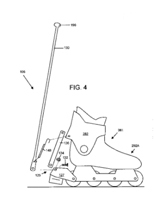 Once the inventor is signed up, then all of the work is done from Pittsburgh, PA. The company has over 150 employees at any given time to handle the workload, but only a handful in the Licensing Department - you figure it out. They have a Research Department that will print you up a bunch of census and market research garbage. They sub-out the patent work to some lowball outfit in South Dakota, who I believe has never turned down an application due to matching art. They have a Creative Department filled with teenagers using Photoshop or Corel Draw to layout your brochure - they are paid $10 a brochure. The brochures are then printed next door by the owner's printing business. There is a Publicity Department, which sends out about 100-150 press releases per invention on average. Then the invention is submitted to their 'ISC Databank' of companies in numerous categories that have signed confidentiality agreements to review new product ideas from ISC. It sounds good in theory, but reality is the Databank is loaded with very small companies and even individuals, both of which are incapable of licensing and generating significant sales required to pay the inventor a decent royalty on units sold. 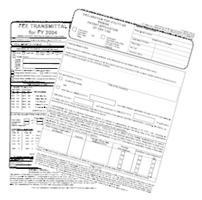 Do you really think that a major corporation's legal department is going to let their New Product Manager of Buyers sign ISC's docs? There is "INPEX', the invention tradeshow that ISC runs, which in a nutshell is another way to extract money from inventors - selling them booth space. No serious buyers from major entities visit this show - they think it's a joke - and it is. They also have a Compliance Department, which puts out lawsuit fires for them regularly. And finally, a customer service department - their biggest department - full of people they pull in off the street to keep the army of unhappy inventors at bay. Basically, if one of the guys at Intromark (the Licensing Department) don't personally try to work the invention - chances are almost 100% that the inventor will not get a license agreement. It's a shame. Inventors truly deserve a better effort for their hard earned money and sweat-equity involved. My service is designed to achieve the best results for you with minimal financial outlay by you. If you have an idea that you want to patent and financially gain from, or if you already have an issued patent and want to do the same, I possess the knowledge and skill in this field that can only come from 15 years experience in the invention/new product business. By eliminating the unnecessary services offered by invention companies, combined with deeply discounted patent preparation and filing, among other secrets and shortcuts, I can offer the best assistance in the country to the individual inventor. 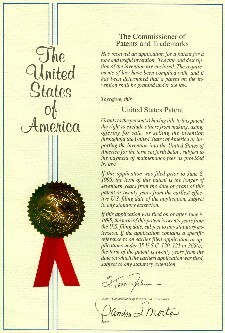 Our Patent Service will get your idea protected by gaining U.S. Patent Pending status. I prepare all of the required filing forms, drawings, patent text (literally everything) for you - and in less than a month. Once you are patent-pending, our Submission Service includes designing and hosting a multimedia product website for your invention, and then submitting it to over 3000 search engines seeking Licensees. InventorEd thanks Mr.Jon Alan Muha for coming out of Invention Submission Corporation's closet. Exposing the truth in this way demonstrates either great courage or incredible stupidity because ISC has a history of using litigation to brutalize employees who spill the beans. 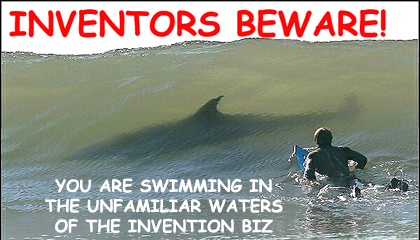 InventorEd has reports of invention promoters collecting as much as $43,000. The last report we saw regarding ISC's success rate was a small fraction of 1%. Who in their right mind would talk about being top anything at ISC? Sorry, but I think it is not just the sales people who are clueless. The head honcho of that lowball outfit was handed his head by the United States Patent & Trademark Office's Office of Enrollment and Discipline. Some people in the inventors community think its is the SS resurrected. One problem with Mr. Jon Alan Muha's service is that we cannot find him listed in the registered patent practioner database. Another is that 15 years with ISC hardly qualifies anyone to successfully market inventions. Mr. Jon Alan Muha said: "I prepare all of the required filing forms, drawings, patent text (literally everything) for you"
I say, you must be registered with the USPTO to offer such services.